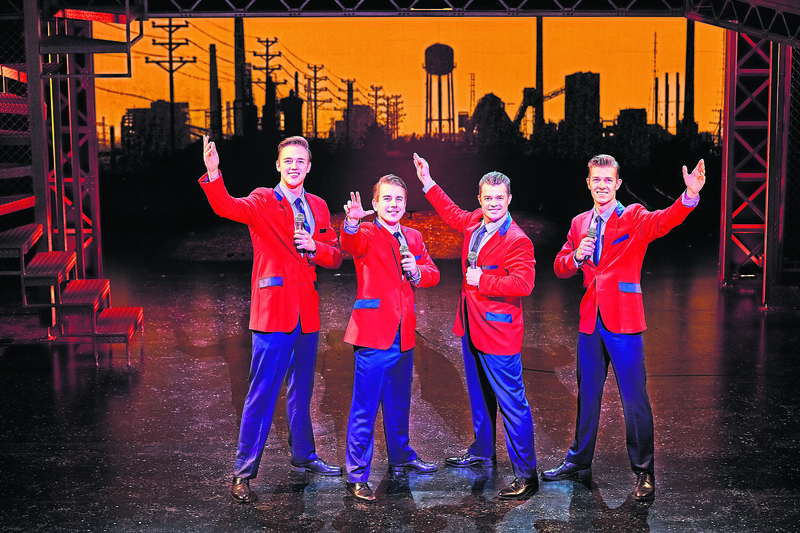 Lewis Griffiths, Simon Bailey, Michael Watson and Declan Egan in Jersey Boys. 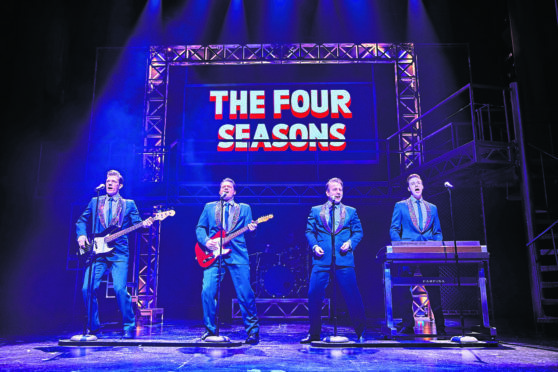 Thirty-three-year-old Lewis Griffiths, who is from Southend-on-Sea in Essex, plays one of the singing sensations in the story which follows four boys who invented their own sound and rose to stardom. Based on the true life story, the internationally acclaimed stage show is heading on its second national tour and bringing some of the nation’s favourite tunes to His Majesty’s Theatre. Reprising his initial role of Nick Massi in this new production, Lewis joins Michael Watson, Simon Bailey and Declan Egan on stage in the tale of four boys from the wrong side of the track who became superstars. Having won major awards worldwide including the Olivier Award for Best New Musical, Jersey Boys is a story the whole audience will be able to get behind and enjoy the heart and humour of the show. How did you get involved in Jersey Boys? I was part of the Original UK Tour of Jersey Boys. I left to play Johnny Castle on the tour of Dirty Dancing and was asked back to reprise my role of Nick Massi. The character is an integral but quiet part of the story. He is charming and enigmatic. Were you already familiar with the show before joining the cast? I’d seen it in the West End many times, years ago, auditioned several times but for the wrong part – I was always destined to play Nick Massi. A lot of fun revisiting the show I knew and loved. Also going back to the drawing board with a fresh approach and new cast chemistry. What has been the hardest part of this show? Keeping Nick’s story fresh and relative – he doesn’t say much but it’s all underlying with such intensity. 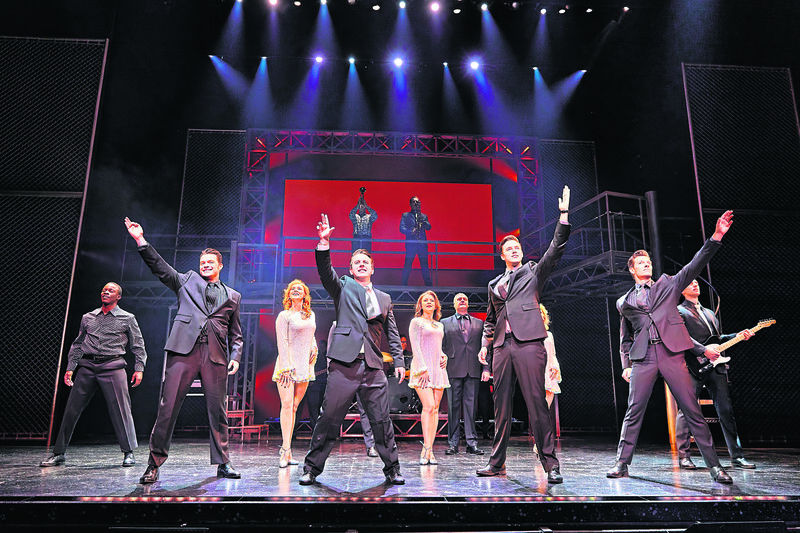 What is your favourite part of the Jersey Boys? When Nick’s story reaches breaking point in “The Sit Down”; it’s explosive and very self-fulfilling. What can audiences expect from the set and costumes? Period – it’s all authentic and genuine New Jersey in 50s America right through to the early 90s. From left: Olive Robinson, Phoebe May Newman and Tara Young. What essentials do you take on the road with you when you tour? My speakers – I need music in my dressing room, hairspray and photos of my family and fiancée, Mel, and my coffee cup. Do you get to explore the places you visit? I’ve toured for the past five years straight so there’s not many places I haven’t seen already. Not really – I’m boring. I just need coffee and music. What is your favourite show you have ever seen? That’s like picking your favourite child – too many to mention. Tony Monaro from Saturday Night Fever. Javert in Les Mis or to originate a role myself. The live band adds verve to performances. My late grandfather – I didn’t get any of his musical skill as he was a fantastic musician but the showmanship and professional attitude came from him – hard work pays off. Why do you think this show has been so popular? It’s relative – great music evolves and this is a show for every man of a bygone era and musical genre that we still need today. Have you been to Aberdeen before? Several times with Jersey Boys, Ghost and Legally Blonde. 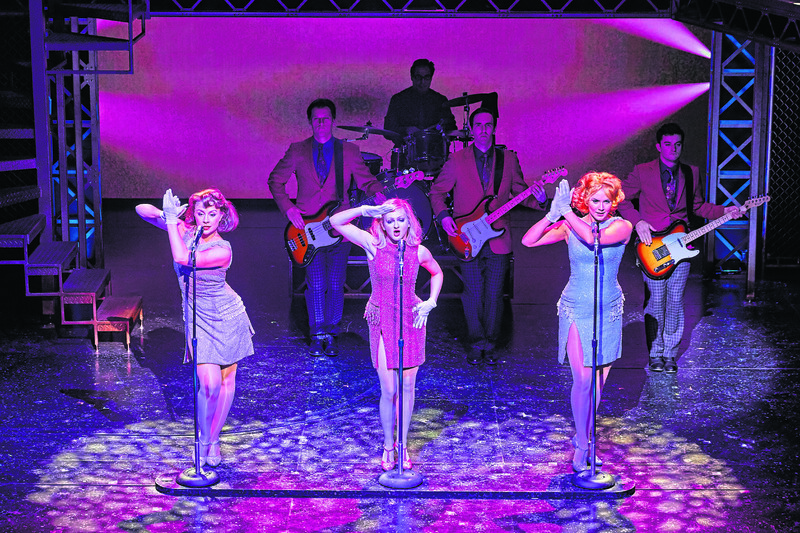 Why should people come and see the Jersey Boys production? You will be in the minority if you don’t and will really be missing out on a theatrical legacy that shows no signs of slowing down.